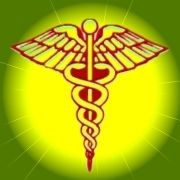 This entry was posted in Dreamwork Methods, Kundalini in Dreams, On Dreams, Uncategorized and tagged caduceus, dream healing, dream symbols, forecasting kundalini in dreams, healing dreams, healing energy, kundalini, kundalini awakening, kundalini energy, kundalini in dreams, prophetic dreams, snake, snakes, working with dreams. Bookmark the permalink. Hi Fran, Great article on kundalini energy. I, also, had a snake appear many years ago, and it was a golden snake uncoiling in my stomach. Many years prior to this dream, I dreamt that I was in a cave with a Sioux Indian Chief named Chief Two-Eagles who gave me many shots in the arm to counteract the thousands of different poisonous snakes flying towards me with intent to bite me. Then, following that incident, Chief Two-Eagles told me no more shots will be needed for the next thousands of different snakes for these snakes are non-poisonous. Snakes are often the symbols for healing in many cultures. What you need to do is to ask yourself what the snake means to you, especially in terms of healing. You just need get in a meditative state, calm and relaxed, and then imagine the snake as it is and then ask it why it is here for you. Is it here to enhance your healing powers as a reiki practitioner? Is it here to heal you? What do the colors of the snake symbolize for you? Feedback from the snake may come in the form of a direct answer by words coming to you, it may come in first sign you see, a sensation, a song, etc. The important thing is to notice the very first thing that comes when you ask a question. Hope this helps, and good luck with your reiki training. The snake is not in my dreams. I can actually see it when I’m awake. This may be a vision. It can be treated the same way as a dream image. Try using the same methods I suggested. I got a golden coloured snake which expanded itself ,like it was small before and later it expanded itself into a giant snake, it’s coming after me, my parents and all my relatives are just taking it so lightly, but I’m so afraid of it as it is coming only after me, finally I entered into home and closed the doors and windows, yet it is trying to chase me from the window, later I woke up.